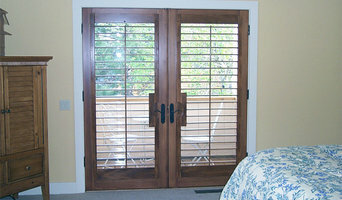 Shutter Crafts specializes in the manufacturing and installation of custom interior shutters. We have been serving customers throughout Idaho, eastern Oregon, and western Wyoming since 1976. All or our interior shutters are custom built for each window, and are manufactured from hardwoods such as basswood, poplar, and alder. We also sell Norman Woodlore (composite) and Norman Woodbury (vinyl) shutters. We also offer fixed louver interior shutters for a wide range of applications such as, closet and cabinet doors, entertainment centers, etc. I started K D Draperies over 22 years ago. During those years I have learned and gained experiences that are valuable in the way I work today. I have always had a passion for designing and creating. I love what we do, that is why I continue my work. Each client receives that personal touch on every job I do. I receive joy and satisfaction every time a client's expectations have been exceeded - that is what I try to achieve on every job. We walk through the process together in selecting the perfect window covering and we will always have a clear line of communication from start to finish. In the past, we have worked primarily with interior designers. While we are passionate about our work in this sector, we are now looking to expand our business into the public sector, working with families and individuals to help beautify their houses. Blind Appeal is a family-owned and operated business that takes pride in providing the highest level of service and window covering options here in Idaho. We have a wide variety of products from the leading manufacturers in the industry, allowing us to accommodate any budget. We have the expertise to handle any custom window covering job and we would greatly appreciate the opportunity to earn your business. Window Coverings of Idaho is an exclusive Showcase Hunter Douglas Window Fashions Dealer located Boise, Idaho. We are your experts in knowing the perfect window treatment to fit your lifestyle, design and budget. Boise Blinds is owned and operated by Austin & Becky Hays and is a full service window covering and design company serving the local Boise market. Ada County's Expert in Shutters, Drapes, Blinds, and much more! Budget Blinds of Boise & Nampa offers complimentary in-home consultations with our design experts, allowing you to envision the look of the treatments in your home. This beats running from store to store or taking your chances online! We’ll measure your windows, do the ordering, inspect your window coverings on delivery, install them perfectly and empower you with our "No Questions Asked Warranty"! Our selection of window treatments includes shutters, blinds, shades, and draperies! Regardless of the window’s size or shape, you can rest assured that we will have a customized window coverings solution ready for you. Let’s get started planning your new custom window coverings today! Call 208-375-1212! *Hunter Douglas Authorized Dealer* At The Blind Gallery you will find more than great window coverings. Whether you are shopping for a single window treatment, redecorating your entire house or seeking the solution to a complex design challenge, you'll find great people who have the knowledge and expertise to help you put it all together. As an authorized Hunter Douglas Gallery, we have achieved the rigorous standards required by Hunter Douglas in the area of visual merchandising, customer service, product knowledge, and sound management. We proudly serve Meridian, ID and the surrounding area. Since we're locally owned and operated, we take our long-term commitment to the community seriously, and we are proud of the professional products and services we provide. We are here now - and we'll be here in the future when you need us again. Contact us today for an appointment! Wallflower provides a wide range of design products and services and we are dedicated to finding the perfect blend of beauty and function for your space. We offer Hunter Douglas window coverings because they are the industry standard for quality and design. To compliment your Hunter Douglas window coverings, we also offer customized fabric shades, drapes, and valences. In addition, Wallflower specializes in wallpaper consultation, as well as professional measurement and installation. Wallpaper can instantly transform your space and reflect your personal style in a very impactful way that paint alone cannot achieve. Attention to detail with the highest standard of service to our clients is our upmost priority. In order to ensure our highest standard of quality, we utilize the valley's most experienced installers and fabricators. 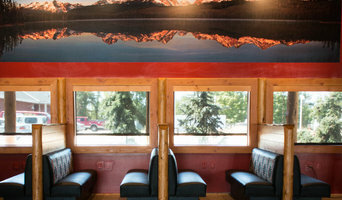 Wallflower is locally owned and operated and serves Boise, ID and the surrounding areas. Originally starting as Jackson's Draperies in 1950, Jackson Shade Company, LLC. 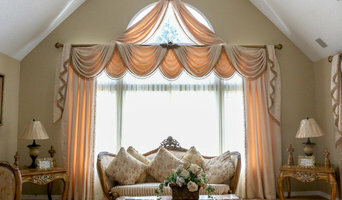 is a family owned and operated company that furnishes and installs a full range of window treatments. With over 60 years of experience, we have the knowledge and ability to take care of all of your window covering needs, including blinds, shades, drapes, shutters, motorization, and automation. Give us a call today! Treasure Valley Shutters and Blinds is a locally Veteran, family owned & operated, business. We are licensed and insured. We have been in business in the Treasure Valley over 10 years with experience of more than 15 years in the window covering industry. Dan Grimes, the owner, has a Bachlor's in Business Management and Accounting, previously worked for other window covering companies and served in the Navy as an electrician for 6 years. Our goal is to continue to grow, expand and offer the public the best window covering prices by keeping low over-head and bringing the showroom to you. We are very proud that the majority of our business is through customer referrals. We take pride in our work and customer service! Whether it is for your personal residence or a commericial building we do it all. Patio shades, motorization, all major window coverings brands and products. This allows us to offer window coverings on any busget. We do contract work for property management companies and builders at contractor rates. Call Treasure Valley Shutters and Blinds today and see how much we will save you. Our portfolio consists of many local reputable builders, contractors, property managements, restaurants, homeowners and various other small businesses. We are very proud to be the servicer for St. Luke's hospital and their window covering needs and repairs. Committed to helping you find the perfect window coverings to meet all of your style, function, and budget needs. Jeff and Victoria Lilly have been certified window fashion professionals since 2005, and Victoria has a background in art and interior design. They enjoy helping people make informed decisions on window treatments. They have been married since 1982 and have two children that are both Boise State alumni. Jeff and Victoria can save you time, money and hassle when measuring, choosing and installing your window treatments. Our mission is to provide great pricing and something to fit every style and budget. We believe that service doesn’t stop at the sale. We will help you choose your window treatments in a beautiful and affordable way. Idaho Blinds & Shutters originally started as Today's Window Fashions, in Elk Grove, California. With an established 11 year history of customer satisfaction, they relocated to the Idaho Treasure Valley area and launched a new window treatment company. Both residential and commercial clients can expect the same level of superior quality in products and installation for a discounted price. 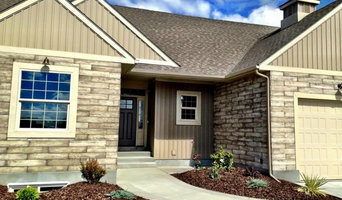 Idaho Blinds & Shutters has quickly earned a solid reputation for providing topnotch results, as a local Treasure Valley window treatment company. At Saddleback Shutters and Blinds, we offer free measurements and installation. Welcome to The Blind Guy, a leader in custom window coverings. For more than 10 years we have provided our satisfied clients with on-site sales and installation of window blinds, window shutters, window awnings, exterior sunscreens, retractable screen doors and French doors at do-it-yourself prices. Our service, product knowledge, professionalism and workmanship are second to none in the industry. The Blind Guy offers window blinds, window shutters and window awnings by the finest manufacturers in America including Hunter Douglas, Kathy Ireland Home by Alta, Graber, Insolroll and Sunseta to name a few. Since 1997 when we first opened for business in Montana, we have continued to expanded all over the US into Idaho, Nebraska, North Dakota, Oregon, South Dakota, Utah, Washington and Wyoming. Best of all, we save time and insure accuracy on every custom order for The Blind Guy window blinds, shutters and awnings by using laser measuring devices and mobile pen tablet computers to get your order right the first time - every time. And, when you purchase window coverings from The Blind Guy, installation is always FREE. Curtain makers, retailers and designers in Boise, ID can work wonders with pieces of fabric, while fitting blinds or shutters can be tricky to do yourself, so it’s definitely a wise idea to hire a window dressing professional in Boise, ID who can design, make and/or fit bespoke blinds, curtains or shutters for you. Whether you want sleek roller blinds for your home office, roman blinds for your kitchen, venetian blinds to smarten up your living room, plantation shutters for your bay windows or delicate voile curtains for the bedroom, there will be Boise, ID curtain makers, blind fitters or shutter company to help you with your ideas on Houzz. A curtains, blinds or shutters company in Boise, ID will first be able to advise you on the style of window dressing that will work with your windows and rooms. If you have an idea or design in mind for your window dressing, then discuss this with any potential experts, such as curtain makers in Boise, ID, to see if your design and style is possible. You will need to work closely with them if you are planning on having custom curtains, bespoke blinds or shutters created. Curtain makers will be able to turn most fabrics into curtains, so if you’ve found a pattern or fabric you like already, present this to your Boise, ID curtain makers and they could be able to turn it into curtains for you. Even when clients don’t have certain fabrics in mind, curtain makers can suggest fabrics based on your style and the rest of the room’s design. They can pick out the right weight, thickness, length and pattern that would suit your room. Curtain retailers in Boise, ID will offer a huge range of readymade curtains, or curtains that can be adjusted or made to order. Contact Boise, ID curtain retailers if you’d prefer to choose from a large selection of ready-to-go curtains; whether they are high-end designer curtains or just plain white curtains; rather than waiting for some bespoke designs from a curtain maker that may take a bit longer. You may find that curtain makers in Boise, ID also offer a stock of ready-to-go curtains, too, but always double check with the professional first. Once you’ve decided on a design, curtain makers, blind fitters and shutter professionals will usually measure your windows or doors to ensure a good fit. If you are having blinds or shutters made then it will probably be best to have them professionally installed, too. Blind fitters and shutter companies should offer this service with their products as blinds and shutters need to be firmly fixed to the windows; something that most homeowners don't know how to do themselves. Although roller blinds and Roman blinds can be fairly simple, vertical blinds and Venetian blinds can be a bit more complex, and if you want remote controlled blinds that operate with the touch of the button, then you definitely need to call in the Boise, ID blind fitters. Plantation shutters are substantial window dressings and need careful measurements and installation, so it’s really best to leave the measuring, design, manufacture and installation to a professional Boise, ID shutter company. Blind fitters, shutter companies and curtain makers in Boise, ID should also check the insulation of your chosen window dressing and make sure there are no potential hazards once fitted. Finally, they should confirm with you that your curtains, blinds or shutters are functioning as you’d like them to before finishing the job. What should I ask Boise, ID curtain makers, blind fitters and shutter professionals? Find curtain makers, blind fitters and shutter professionals on Houzz. Narrow your search in the Professionals section of the website to Boise, ID blind, shutter or curtain maker professionals. You can also look through photos to find examples of Boise, ID window dressings that you like, then contact the curtain retailers, blind fitters, shutter professionals or curtain makers in Boise, ID who worked on them.